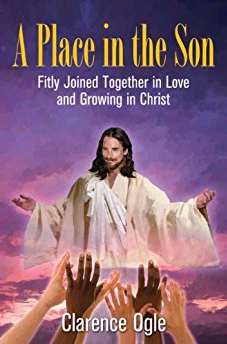 "A Place in the Son: Fitly Joined Together in Love and Growing in Christ" is a guide to growing in Christ in harmony with other true believers. Readers are urged to examine their beliefs and their lives and surrender all to Christ. The God who is Love has a calling(s) and a place in the body of Christ for every unique person. The wonderful works of God are accomplished as believers obey the Head, Jesus Christ, and love and serve with their assigned partners in the body of Christ. "A Place in the Son" calls believers to press on, to step into the realm of the supernatural, and to enjoy daily fellowship and intimacy with God. Personal experiences and testimonies of God's faithfulness combine with the Word of God to inspire readers. Both new believers and seasoned saints will find enlightenment and encouragement in the pages of this book. The call of "A Place in the Son" is loud and clear: "Search the Scriptures! Know who you are in Christ! Wake up, sleeping giants!"